Following a nearly 2-year-long period of silence, Boston-based developer Moonshot Games has announced that its side-scrolling co-op shooter for XBLA, Fallen Frontier, has been canceled. The studio elected not to relay the specifics of why it dropped what would have been its debut game, but studio co-founder Damián Isla said that the team plans to share at least some of the reasoning behind the cancellation at an undetermined future date. Fallen Frontier was first announced in March 2011 by Moonshot, a studio with several ex-Bungie employees on staff. The XBLA game made an appearance at PAX East 2011 in playable form and showed much promise and plenty of inspiration drawn from the former Bungie devs’ days working on the seminal Halo franchise. 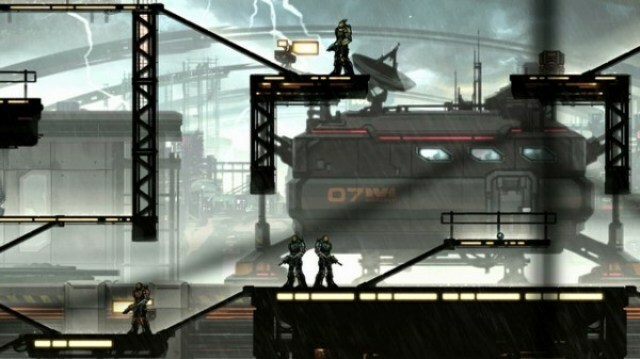 The game, which featured a sci-fi setting with a noir look to it, also drew plenty of comparisons to Chair Entertainment’s Shadow Complex. XBLA gamers will never find out if Moonshot was capable of making Fallen Frontier live up to its promise, though. The developer reported on Twitter that although it considered turning to Kickstarter for help with funding development, it decided against doing so. Although the studio did not specifically say as much, its considering Kickstarter would seem to imply that a high development cost was at least partially responsible for the game’s cancellation.